With dozens of conferences in the cannabis space, how do you choose the best one(s) for you? Answering these six questions can help you decide. For you to achieve a return on your objectives, you first need to determine what those objectives are! Are you looking for a partner or funding? Search for a conference with more networking opportunities or access to investors. Are you looking to expand your skillset? Choose a conference with quality speakers and focused, curated sessions tailored to your area of expertise. What events do other people attend? Ask around. A conference can have a flashy website, snag an eager speaker or two and make all sorts of claims as to the quality of their content and exhibitors, but the proof is in the experience of the attendees. 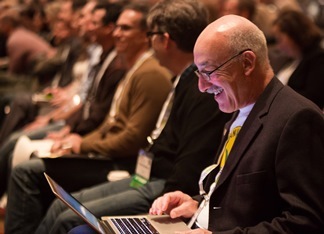 What conferences have your peers attended? Why and how did those shows work for them? What keeps them going back? A conference is a true investment in your business and your career. Most people don’t have the resources to attend every event on the chance it could be worthwhile and you can’t afford to waste the time and money on events that don’t meet your objectives. Take into consideration location, airfare and hotel costs, plus the cost of the registration and any additional activities that may surround the conference. Little things add up. Is food provided? Will you have to pay for a cab or ride-share to the event every day? Add all of these together to help you decide your total investment to compare to your expected return and your cost per lead. Will you meet people who work in the same industry niche as you do? Will consumers be present, or is it only for a business audience? What level of access will you have to other professional attendees? Make sure the conference allows you to connect with the people important to you. There are two kinds of presenters at some shows – people who are experts and people who are trying to sell you something. Independently curated sessions without influence from any particular organization demonstrates that the conference organizers are dedicated to providing quality, unbiased content. Will there be any networking opportunities? The true value of conferences lies in the face-to-face interaction that you can’t get anywhere else. Does the conference provide you with enough opportunity to meet people who can help move your business forward? Are the other attendees the right job level for you? Is the show consumer focused or B2B focused? Taking the time to answer these questions will help you wade through the ocean that is the cannabusiness conference space. We hope to see you out there!